Finding good sources of fat in your daily eating routine is essential. Every organ and cell in your body needs it, but it's also the hardest thing for most people to do....and accept. These three foods are actually fruits and three of the best sources of good fat on the planet. They are easily accessible now at even mainstream grocery stores in a variety of forms. You can eat them, drink them, toss them over salads, make salad dressings with their oils, or cook with their oils. 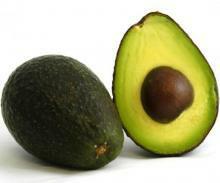 5) Good Fats improve Cholesterol ratios, lower blood pressure, inflammation, and maintain healthy arteries. This entertaining 3m video lays down the history of fat and puts things into perspective. Olives are in the Monounsaturated Fat category and the prevalent fatty acid is called Oleic Acid. It's termed a MUFA for short. Nuts and avocados have MUFA's as well. Known for its antioxidant properties, improved insulin sensitivity, and decreased cholesterol levels, it also helps preventing oxidative damage associated with aging and most degenerative diseases. The olive tree is found around the Mediterranean but also in California. If you haven't tried out California olive oil, do so. There are many companies out there providing fresh and tasty oils of extremely high quality. Not to bash European olive oil but much of it is pressed over there, then brought over in large containers by ship and bottled once it hits the States. Not as fresh and a chance of rancidity. Check out the article on The Mighty Avocado right below. Most people are getting the picture that Trans Fats are bad. If you don't know, Trans Fats are pretty much a human creation of pumping heat and hydrogen into vegetable oils to create a longer lasting and cheaper product. Think margarine. Vegetable oils are the prime culprit and are in thousands of foods because they are cheap. Soybean, Corn, Canola, and Cottonseed should be avoided at all costs. Beyond the damage they cause the liver, they promote something called Systemic Inflammation which swells your arteries causing stuff to get stuck on them and bad things happen. That's the Physiology of heart and vascular disease simplified for you! Food companies aren't stupid. They want you to think their product is healthy even though it's not. If you even see the word Hydrogenated, put it back on the shelf. Salad Dressing is usually loaded with soybean and canola oils sometimes called salad oils, which are full of inflammatory Omega-6's. Even the ones touting 'olive oil' most times have soybean first and olive down the line. Check the label always. It's easy to make your own dressing with a mini food processor, 4 or 5 ingredients in a couple of minutes. Farm Raised Salmon and other fish are not fed foods indigenous to their natural environment. Reports of soybeans, corn, and even dog food are tossed in their water pens to fatten them up quickly at the expense of their health...and yours. Feed Lot Beef is not healthy on many levels but feeding cows a diet of corn, growth hormone, and antibiotics leads to fat, (or marbling as its called at Capital Grille), that is laden with Omega-6 instead of Omega-3 if they were grass fed. Always be on the lookout for hidden, poor-quality fats, avoid them, and instead incorporate wild meats and Avocado, Coconut, or Olive on a daily basis.